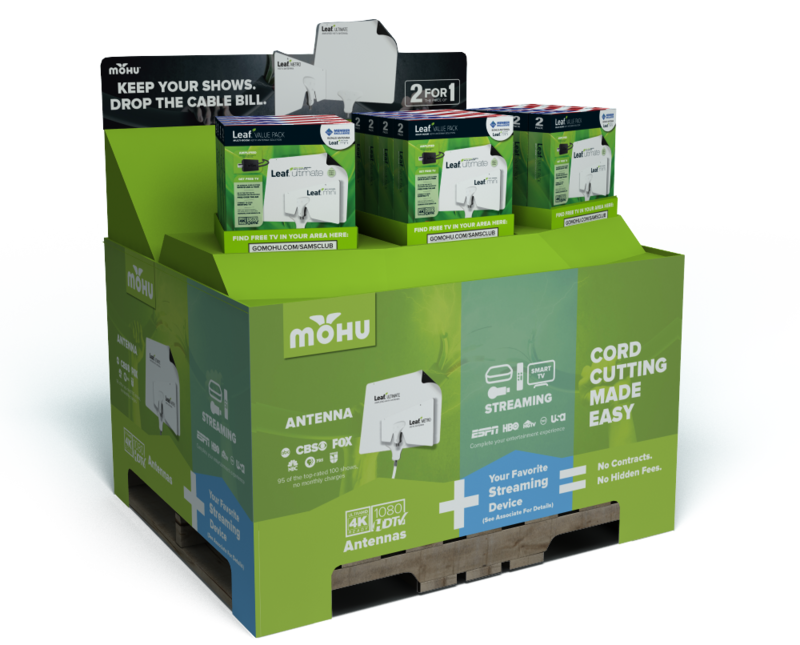 These point-of-purchase displays at Sam’s Club were created for seasonal promotions of Mohu antenna bundle products. They ran in 400 warehouse store locations and sold 100% of the inventory before the promotional period ended. The podium layout gave the trays a vaulted presentation and draws the eyes up to the die-cut header, which is a dynamic photo of a cable exploding. The layout encourages the viewer to walk through the calculation of becoming a cord cutter using market tested slogans. 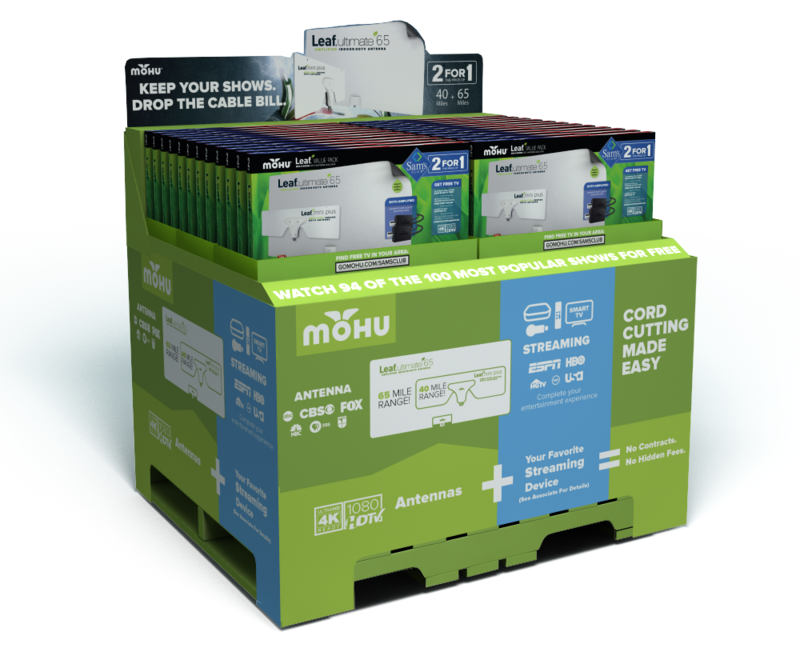 The second display accommodated a large number of the new bundle boxes to maximize the profit from the campaign.